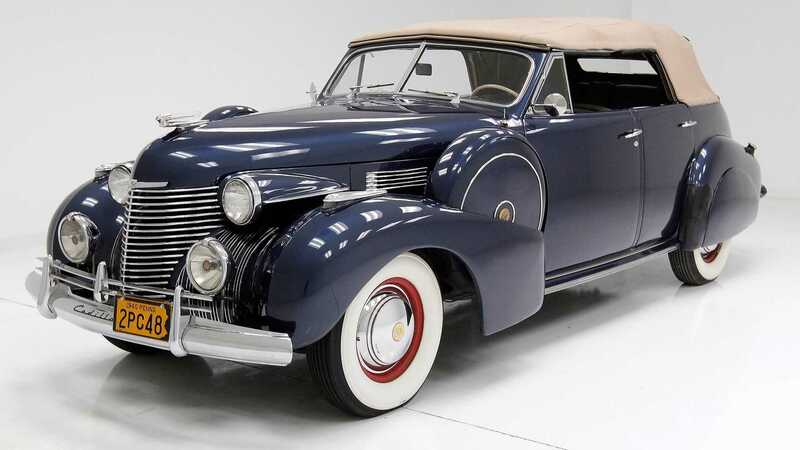 Designed by the legendary automotive sculptor Harley Earl, this 1940 Cadillac Series 62 Convertible Sedan with just 13,428 miles on the odometer is still a head turner now as it was nearly eight decades ago. 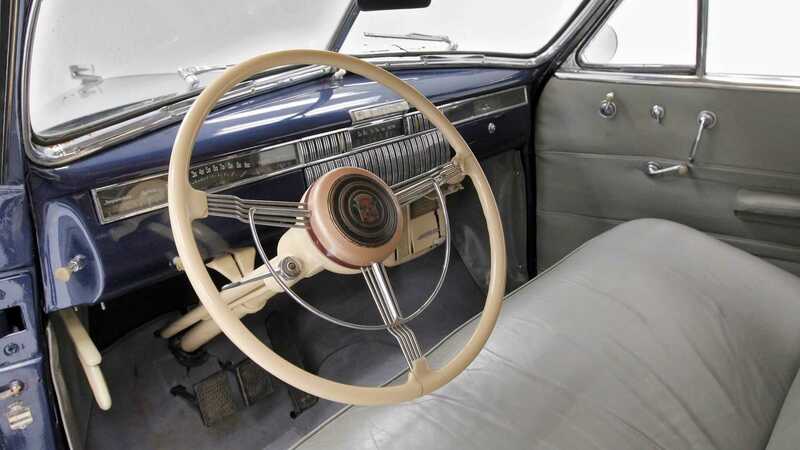 Cadillac produced the Series 62 from 1940 through 1964. 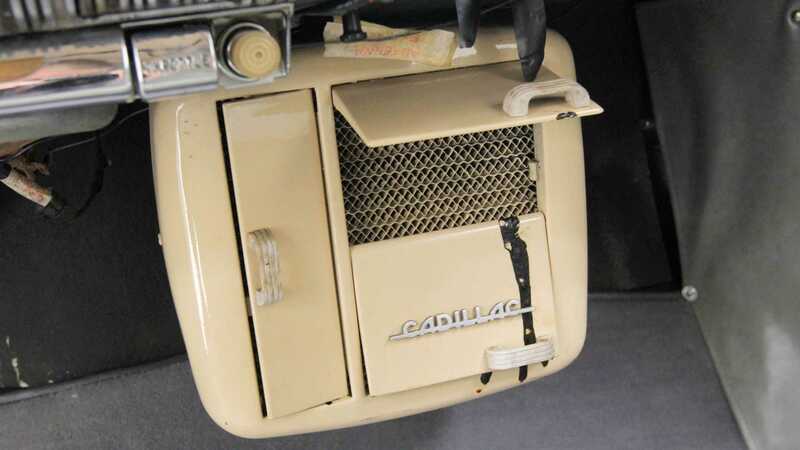 In 1959, Cadillac changed the vehicle's name to Cadillac Series 6200 and it remained unchanged until it was renamed to Cadillac Calais in 1965. 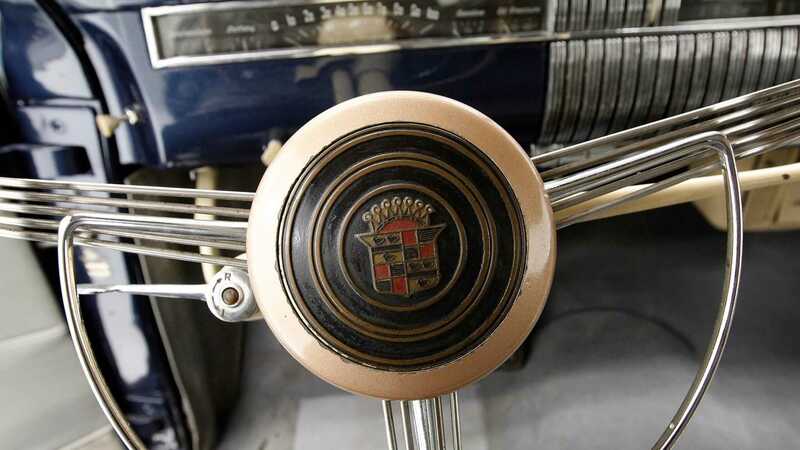 During its production run spanning for more than two decades, Cadillac made seven generations of the Series 62. 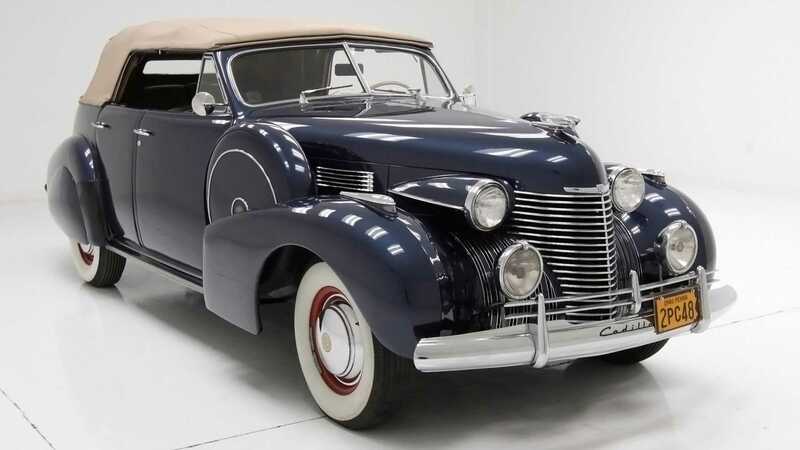 This particular 1940 Cadillac Series 62 Convertible Sedan currently for sale at Classic Auto Mall in Morgantown, Pennsylvania has gone through a restoration process, but the listing does mention that the vehicle has some patina along with some faults here and there. 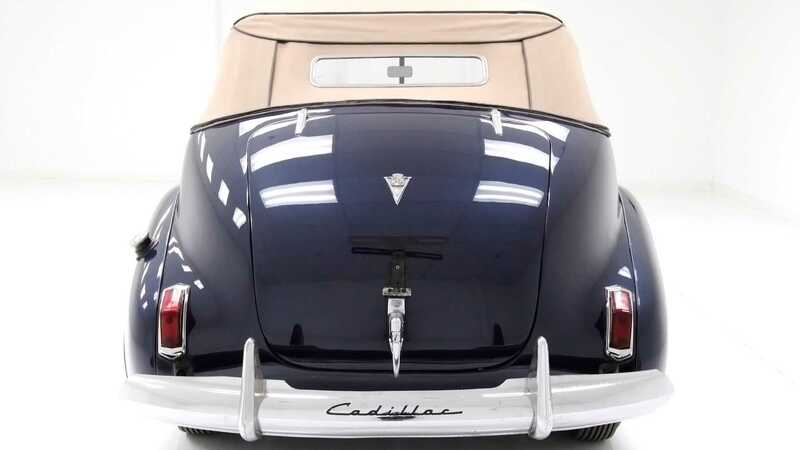 But based on the images of the exterior, interior, under the hood, and the undercarriage, the car is in relatively good condition and is more suited to be a daily driver rather than a trailer queen. 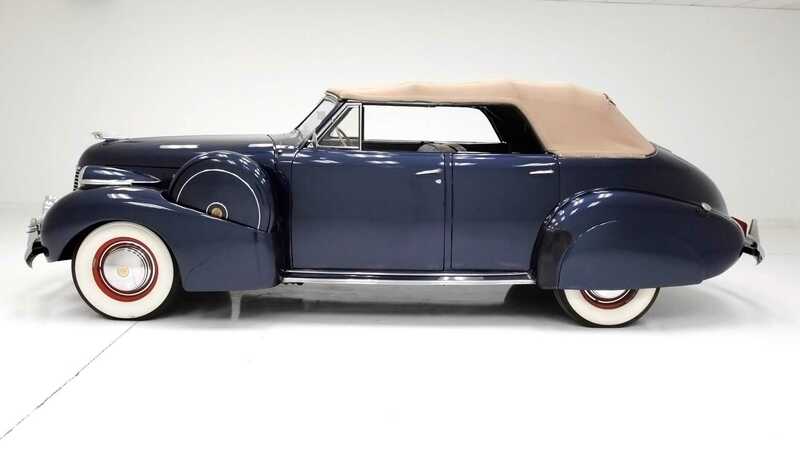 This Cadillac Series 62 Convertible Sedan in Antionette Blue comes from the Joel Adelstein collection and is powered by a 346 cubic-inch, 5.7-liter monobloc V8 which produces a respectable 135-horsepower. 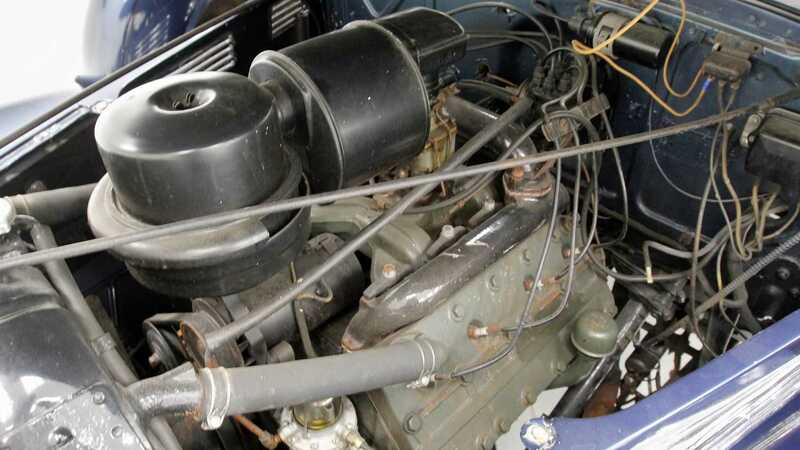 The engine sends power to the rear wheels via a three-speed selective synchromesh manual transmission. 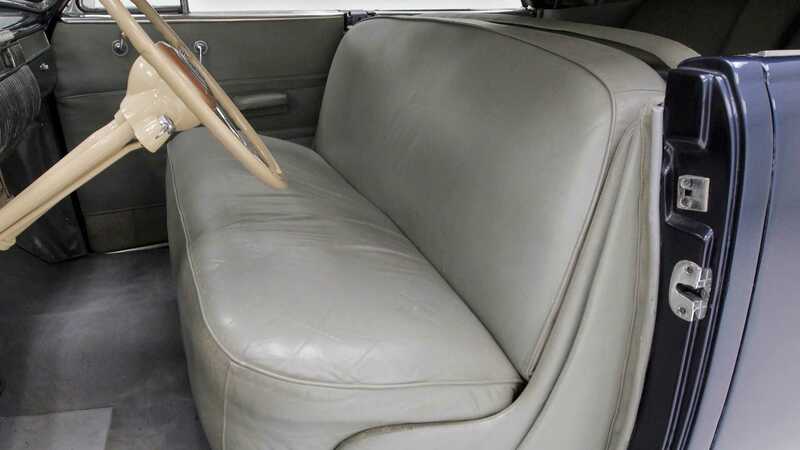 The listing states that the sedan's camel canvas top is intact, but does show a few areas of slight wear at the joints. 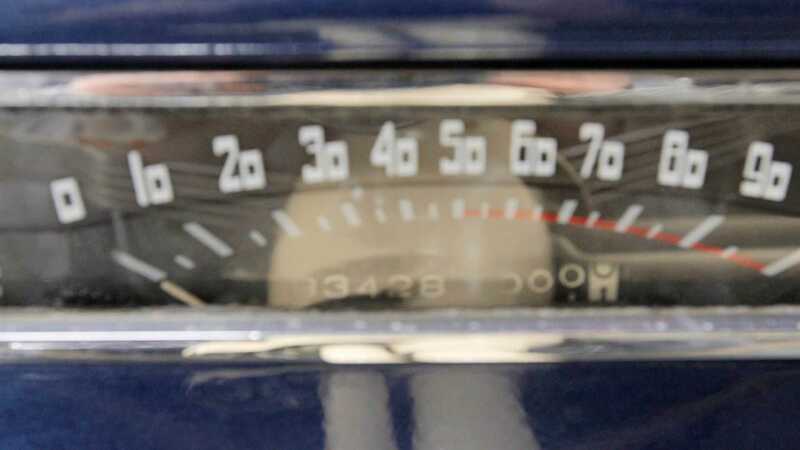 However, chrome and bright work do appear to be in good condition. 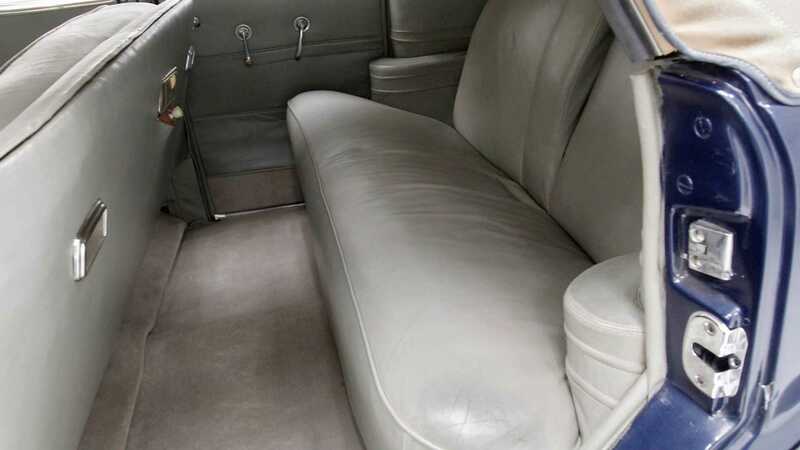 Inside, this Cadillac sedan features gray leather bench seats at the front and rear. 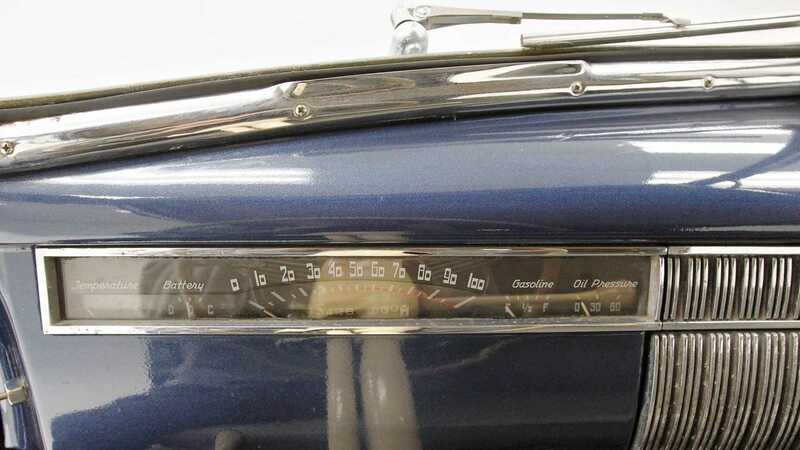 The color matched Antionette Blue painted metal dashboard features Art Deco styled chrome accents, clean gauges, and even has a factory heater hanging below the dash. 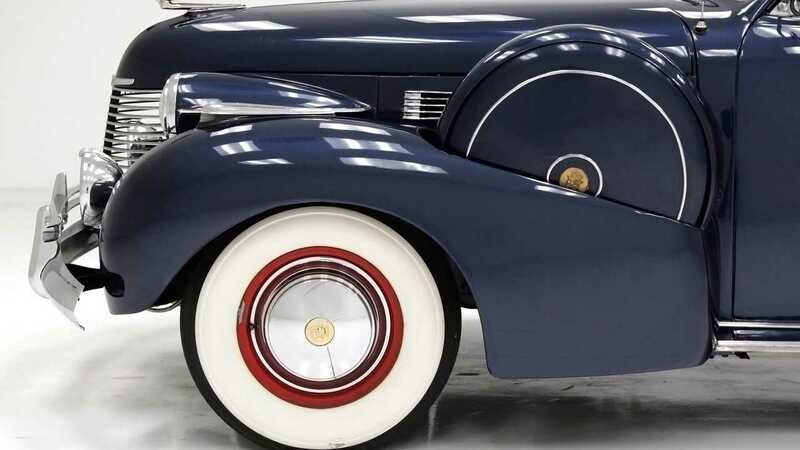 In order to provide a cloud-like ride while driving on the highway, this Cadillac Series 62 Convertible Sedan is fitted with an independent front axle with coil springs, Hotchkiss semi-floating rear axle with semi-elliptical leaf springs, and four-wheel hydraulic drum brakes behind these gorgeous white wall tires. 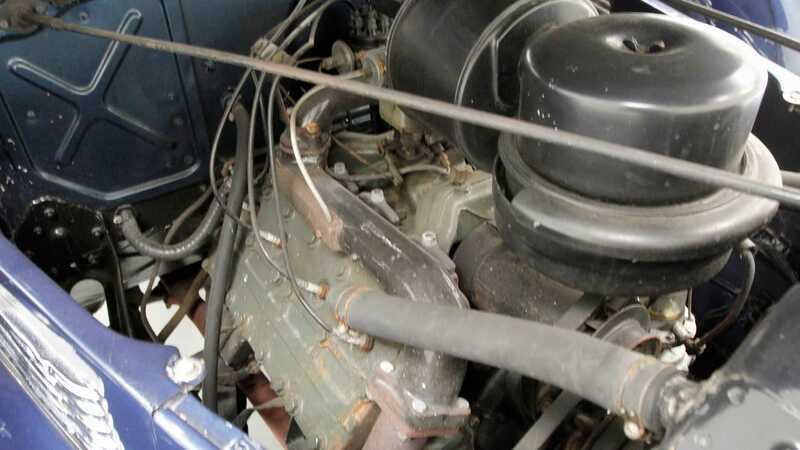 The listing also states that there are slight surface rust spots on the undercarriage, but it is structurally sound and is in a very nicely preserved condition. 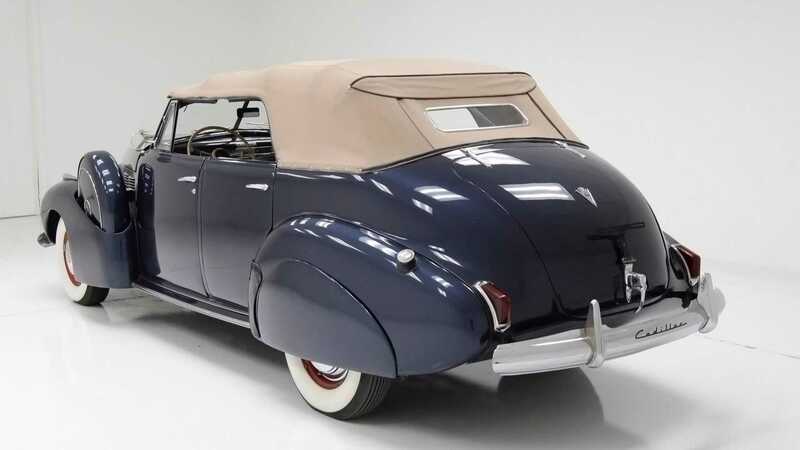 If a pre-war era car like this 1940 Cadillac Series 62 Convertible Sedan is something you are currently in the market for, then check out this well-preserved example currently for sale at Classic Auto Mall for $94,995.